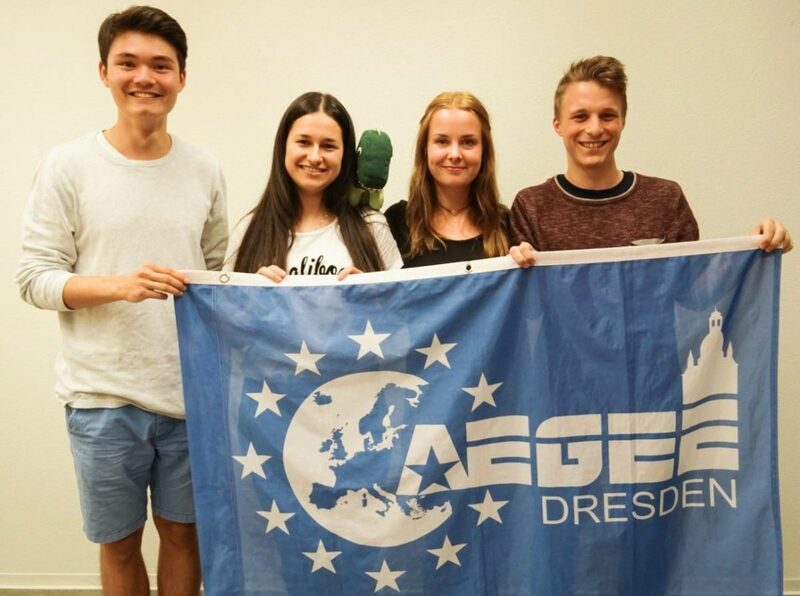 The 4th board of AEGEE-Dresden was elected at the annual general assembly, local Agora , on the 26th June. Again, it consists of four positions: Next to the president (Jens Oehlen), the secretary (Daniela Lascu) and the treasurer (Lukas Herzog), the PR-Responsible (Antonia von Richthofen) will complete the board. One member was elected into each position by the members of our nonprofit organization attending the Local Agora through casting secret ballots.We wish all the best for the term and for a successful implementation of personal, local and european goals!